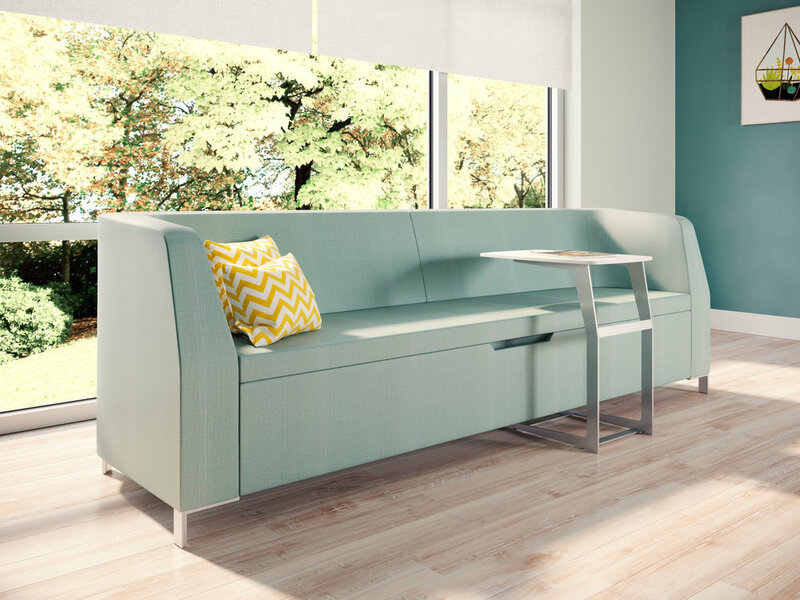 Designed to enable comfortable family engagement during a loved one's hospitalization, the simple and easily convertible CAMA Chaise Sleeper cradles family members in a comfortable nook that converts from a chaise by day to a sleeper by night. 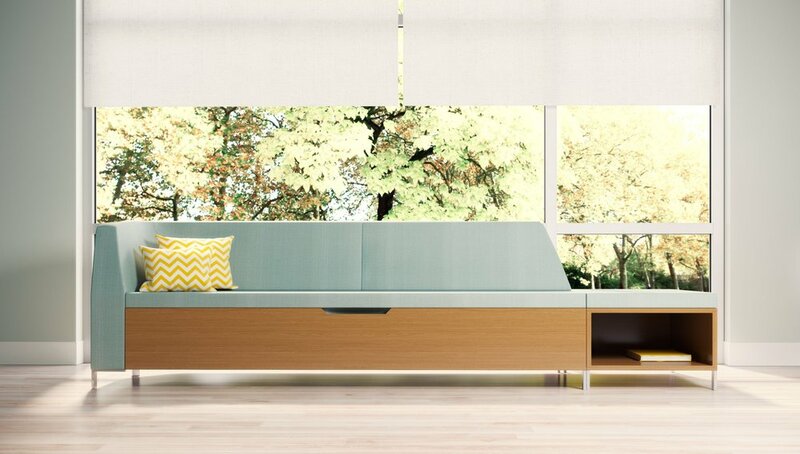 It is the newest piece in the Healing Touch Collection by IOA Healthcare Furniture. Most families have little opportunity to relax and feel at ease while caring for their loved one in a hospital setting. Current furniture provided in patient rooms are uncomfortable and located far away from the patient bed, which consequently, inhibits the ability for family members to fully engage with the patient, making the patient feel isolated and lonely. 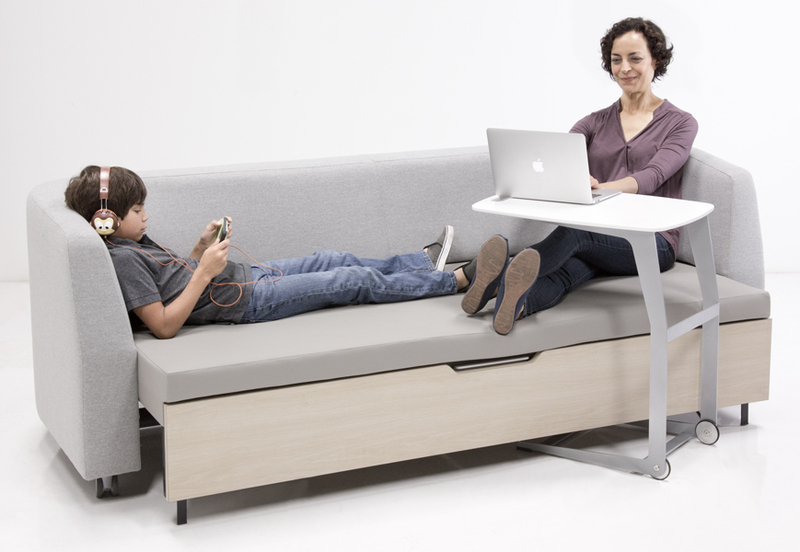 Comfort is Key - Engineered to allow multiple seating positions such as side-sitting and lounging, the height and angle of the back creates a supportive hug-like sitting position, while the angle of the chaise position promotes eye contact with the bedridden patient. With the ease of a front pull release, the seat deck slides out to the needed Chaise Sleeper depth. Families are encouraged to engage in active communications with the patient as well as with the other visiting family members. Because of the variety of comfortable positions, families can also provide company to the patient while maintaining daily activities such as working or reading.